The workforce is aging as baby boomers move toward retirement. Gen X managers need to learn how to motivate and manage this talent pool of older workers. Both generations have very different views of the other and will need to learn how the other generation operates. 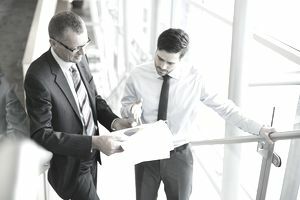 It is up to the managers, Gen X or otherwise, to take the lead and create the climate in which older workers will remain engaged and productive. You may think older workers are harder workers or that they are difficult to train. Get rid of your stereotypes. Your older workers are individuals just like everyone else in your group. Treat them as such. You wouldn't treat a seasoned manager of 35 the same as a 21-year old right out of college. Don't think the 15-year gap is any less in your older workers. A worker at 55 and a worker at 70 have different goals and needs. As a manager, you may need to look at groups getting ready to retire (55-62), retirement age and still working (62-70), and older workers who want to keep active or who need to work (70+). Each group presents different management challenges. Don't assume that the older worker knows what you expect of them. They don't have the same background as you. Be very clear what you want to be done and what the measurements of completion and of success will be. "Bill, take care of that for me" is not enough. Try "Bill; I need you to prepare the department's budget for the next fiscal year. Use the numbers from last year and add 10% on everything except training which should go up 15%. I need it by Tuesday". Your older worker has been around. They have seen a lot. They have done a lot. Recognize the value of this experience. Learn from it. Encourage the younger members of your team to learn from it. The lessons from the "school of hard knocks" are invaluable. Older workers need training as much as younger workers - just as much, just as often. The subject of the training may be different, but the need is the same. And don't believe that older workers can't be trained. They are just as receptive as their younger peers. Older workers probably need benefits more than younger workers. They need medical coverage, vision care, and financial planning. Make sure your company's benefits plan meets their needs too. Any manager's key job is to motivate their employees. Older workers have different motivational "hot buttons" than their younger counterparts. Opportunity for advancement is probably less important than the recognition of a job well done. You Don't Have to "Be the Boss"
The older workers grew up in a hierarchical society. They know you are the boss. Most of them were bosses at some point too. Get on with leading the department and don't waste time posturing. It won't impress them anyway. They've seen it all before. Your older workers, depending on age group may want flexible hours or a shorter work week. For those of them that need that, be willing to be flexible. You need their talent, and technical skill to do what you need to to keep it available. Do not, however, assume that all older workers want to go home early. Some may be motivated by working the same long, hard hours that they have always done. Let them coach and encourage the younger workers. Most older workers have a wealth of knowledge and experience that they would love to pass on. Give them the opportunity to do so and your entire organization will benefit.